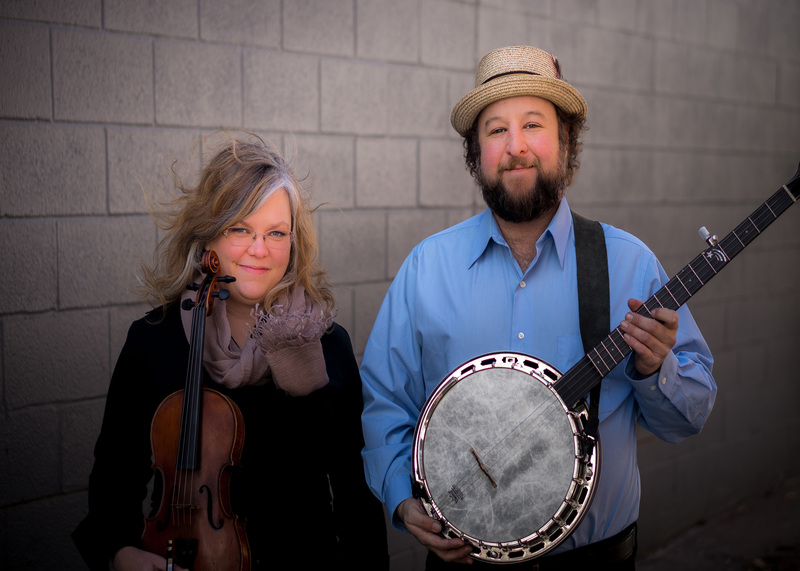 Regular folks, exceptional music: This duo from the heartland (Kansas City, Missouri) has its roots in Ozark old time music, honouring traditional songs and tunes that resonate with human experience. And they have a great time doing it! For each concert setting, Betse & Clarke take an audience on a musical field trip. Betse Ellis plays powerful and beautiful old time fiddle tunes, sings traditional Ozark songs, and shares her own songs with themes relating to human experience. Expect her to tell some stories along the way, featuring personal moments with her fiddle mentor Violet Hensley. Long known for her energetic style in her former band The Wilders, Betse’s earned a level of maturity while maintaining her contagious enthusiasm. Clarke Wyatt is an engaging finger-style banjo player, drawing inspiration from great traditional and inventive banjoists of earlier decades such as Mike Seeger and John Hartford. His melodies match the fiddle, and also build rhythmic interest to embrace the music’s character. He also plays finger-style guitar, when it suits the musical style and texture. Together since 2014, this musical couple has travelled across the United States and Ireland, from the Portland Old Time Music Gathering to Grand Targhee Bluegrass Festival, Walnut Valley Music Festival, John Hartford Memorial Festival, Guinness International Bluegrass Festival (Co. Waterford, Ireland), Bluegrass Music Festival (Ulster American Folk Park, Co. Tyrone, Northern Ireland) and Folk Alliance International Conference (as official selected showcase artists, and music camp instructors). They are dedicated instructors as well as performers and enjoy teaching at camps and workshops as well as private instruction.